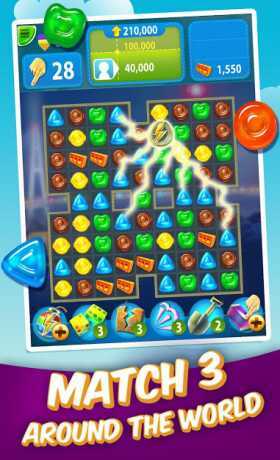 Gummy Drop Candy Match 3 Game is a Casual Game for android. 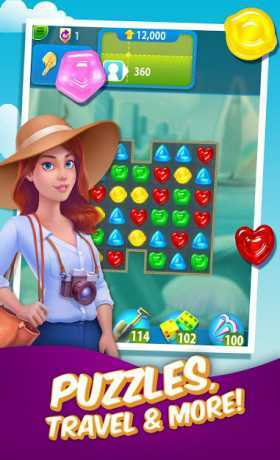 Download Last version Gummy Drop Candy Match 3 Game APK + MOD (a lot of money) for android from RevDL with Direct link. Stop crushing & start squishing! Big Fish presents a new matching addiction for your sweet tooth! Travel a candy-coated world and match your way from Sydney, to San Francisco, Paris, and MORE! The world as you know it has been gummified. Now, it’s up to you to work side by side with gummy architects and put the map back together. Feed a candy craze and drop those gummies! •High scores that can always get higher! Each level offers more coins to score and gummy workers to collect. Use coins and workers to build up a tasty world! •Friendly competition! How good are your friends’ Match 3 skills? Knock them off the leaderboards in each level for bragging rights! 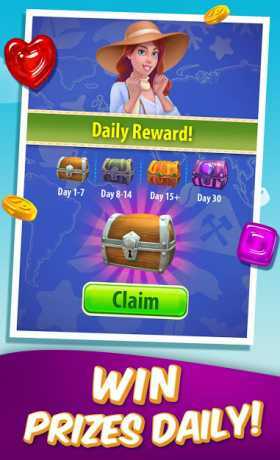 •A new daily event is always waiting! Finish the quest for more coins, more resources, and more gummies! •Play in MANY languages! Now supported in English, German, French, Spanish, Italian, Portuguese, Dutch, Russian & Japanese. More to come soon! •Visit popular monuments without jumping on a jet plane! See famous monuments with your gummies!